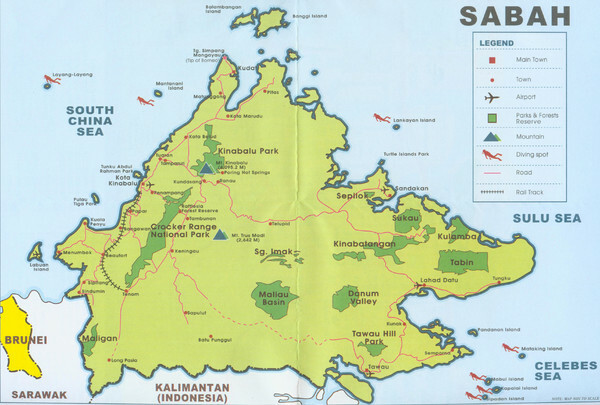 Location Map of National Parks of Sabah, South Asia. 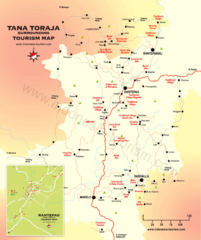 Includes towns, roads, parks, mountains, and diving spots. 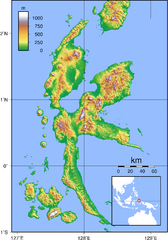 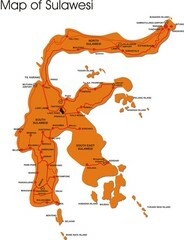 Tourist map of island of Sulawesi, Indonesia. 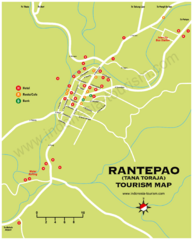 Tourist map of Rantepao, Indonesia. 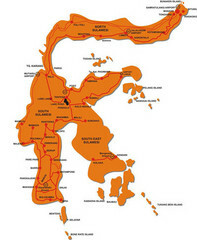 Shows hotels, restaurants, and banks.